Hear our daily updates on your Alexa enabled device! You can now hear short updates on our research in near real-time on your Amazon Alexa enabled devices. 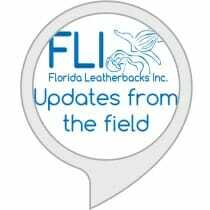 Simply add our skill “Leatherback research update” to your daily flash briefing and Alexa will read you the latest update from our volunteers.